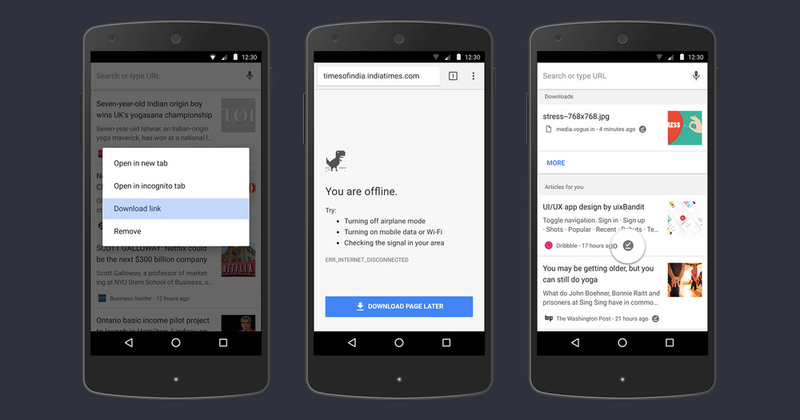 Google is pushing an update to Chrome on Android today that makes offline reading of web pages easier than ever to get into. Google says three new items are there to take advantage of. For one, you can now long-press any link in Chrome and choose the “Download link” option to be able to view it later. It supposedly works in article suggestions on the new tab page as well. Additionally, if you are offline and try to load a page, you’ll see a “Download Page Later” button at the bottom of the page, so that the page can be scheduled for download as you come back online. Finally, you’ll now see little check marks next to items that have already been downloaded. You can see all three of these items in the order described in the image above. Question of the Day: New Verizon Unlimited Users, How's Everything Been?